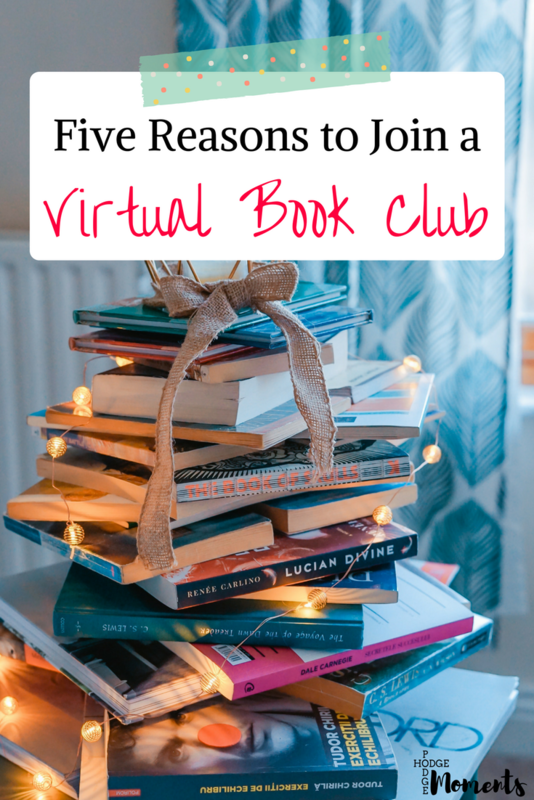 Virtual book clubs may just be the best thing ever for busy women that would like to talk about the books they’re reading. You get to connect with others and find new books without ever leaving the house! This saves you time since you can participate from your pajamas without driving miles down the road. I know they’ve been a great solution for me! One of the reasons I joined my first book club as an adult was to meet new people and connect with other readers. The first book club I joined was an in person one that I found through meetup.com. I loved going to these in person meetings while I was in Charleston and California. However, once I moved to Michigan and our family grew by two dogs and a little boy, I found in person book clubs to be near impossible to attend. (Have I mentioned that my husband has a schedule that changes every week and we don’t have a babysitter? Yep…impossible to attend regular meetings of any sort unless child care is included!) I still found that I enjoyed reading and had a desire to discuss the books that I was reading. Joining a virtual book club gave me the chance to meet other bookworms that shared my same love of reading. I love discovering new books. I can’t even tell you how many reading list posts I have on the blog. (Here’s my most recent one.) Book clubs are a great way to discover new books since there’s typically a point where people are invited to share suggestions. They can also help you discover books that you might not have considered on your own. When you hear someone else talk about their experience with a book, it makes a big difference in how you view that book. I love the accountability that comes with a book club. When someone is checking in on you or there’s a set date to discuss something, it can work as great accountability. There are many other ways to hold yourself accountable for actually reading, but it’s much easier when you’re doing it with others. I can’t tell you how many times I’ve learned something new through a book club. I love the way others always have a different point of view when it comes to books. Everyone brings a different experience to the table, which means everyone sees something different in a book. In addition to this, I have discovered many new books because a book club member recommended them. These books have taught me many things over the years. The last reason I would recommend joining a virtual book club is to have fun! Books are often discussed in a book club (hence the name), but they’re rarely the only thing discussed. Friendships are often formed through book club and this opens up the grounds for a lot of laughter, fun, and more as you discuss books and life beyond the pages. If you’re thinking that a virtual book club might be perfect for you (and you’re into nonfiction), then I highly recommend joining our FREE Biz Book Club challenge in March. We’ll be focused on setting up a reading routine that will help you build your business. I really hope you’ll join us! 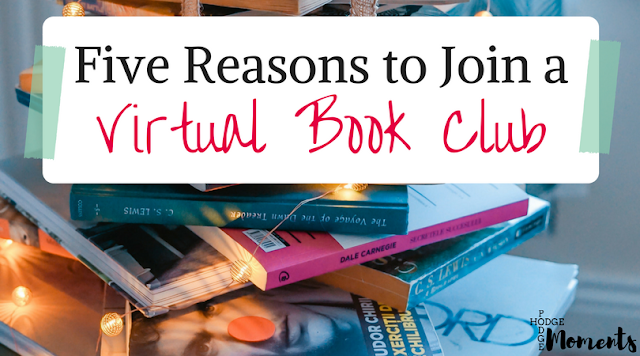 Have you ever joined a book club (in person or virtual)? Did you enjoy it?